If God loves me, why did my child die? If life is supposed to be so wonderful, why do I feel so bad? If God hears my prayers, why am I still single? If God is in control of the world, why is life so hard? Sheila Walsh hears questions like these wherever she goes. In her own life journey, she has struggled with difficult questions?and has found some answers. Not easy, pat answers, but real-life, lived-out-in-the-flesh answers that can help you find meaning and purpose in spite of pain and suffering. 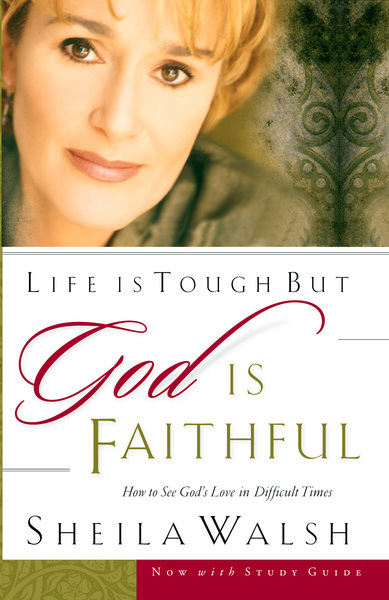 Life Is Tough but God Is Faithful offers encouraging insight into God's presence in the midst of our questions and struggles?and highlights positive choices you can make, no matter what your circumstances may be. "Life is tough, but God is faithful" has become Sheila's motto. "The Bible is full of stories of men and women who, in the midst of the toughest situations of life, discovered the faithfulness of God," she says. "When our dreams go sour or seem unfulfilled, we can choose to allow Satan to slither into our lives, or we can choose to remember that God is faithful, no matter how hopeless life gets." Sheila looks at thirteen crucial turning points that can help you rediscover God's love and forgiveness. Showing how the choices you make affect your life, she offers insights from the book of Job, from her own life, and from the lives of people whose simple but determined faith helped them become shining lights in a dark world.